Make a grand statement with this impressive pink arrangement! 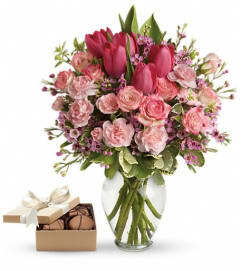 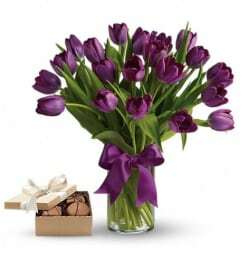 Arranged in a classical urn, the pink peonies, roses, lilies and asters are a feminine, awe-inspiring tribute to the beauty of nature and true love. 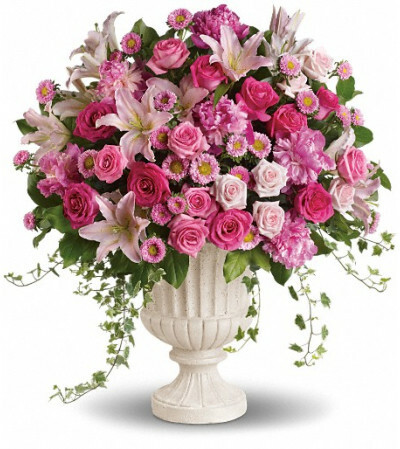 Lush pink, light pink and hot pink blooms including oriental lilies, matsumoto asters, roses and peonies are accented with variegated ivy and rich green salal in a classical urn.